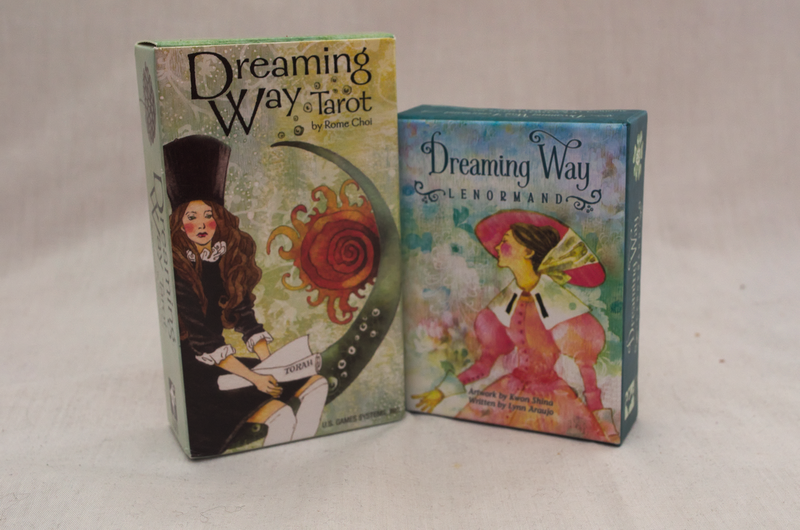 The Dreaming Way Tarot and the Dreaming Way Lenormand are two divinatory decks released by US Games in 2012 and 2016, respectively. 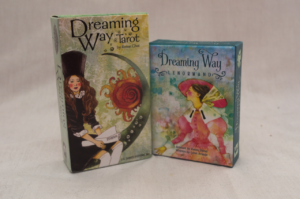 Both decks are illustrated by Kwon Shina; the tarot deck was written by Rome Choi, and the Lenormand deck was written by Lynn Araujo. Find out what we think after the jump. The Housewives Tarot is a deck published by Quirk Books and designed by Paul Kepple and Jude Buffum of Headcase Design. It was first printed in 2004, and has since been followed by a semi-sequel, The Zombie Tarot. The deck is inspired by the aesthetics of 50s America, with martini-sipping housewife culture. 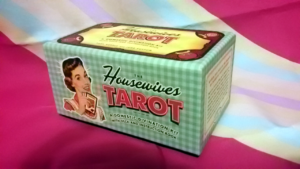 The deck’s “backstory” involves the mystic Madame Marlena, an otherwise unassuming housewife who introduces the tarot to her group of friends as a way of life. Here’s my thoughts on the deck of the so-called Marlena, under the cut. Want to impress someone who was born in the 90s? Tell them you have an unopened can of Surge at home. Surge was a somewhat popular citrus soda released from 1997 to 2003 in the United States. Intended to be a competitor to Mountain Dew, it never managed to find a solid market and was eventually discontinued. Dedicated Surge fans didn’t take this sitting down and immediately launched a dedicated campaign to have the drink returned to store shelves. The campaign has paid off with small victories in the past (namely the introduction of Vault, which was also quickly removed from stores) but their ultimate goal was accomplished in 2015. Surge was released as an internet exclusive on Amazon, and eventually returned to store shelves. It’s since been available pretty consistently since then as a total 90s nostalgia cash-grab. 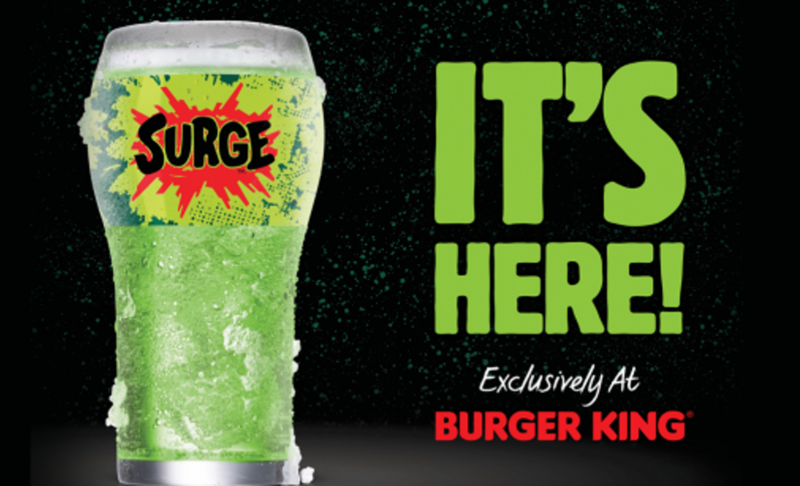 We don’t know if you can still get it in cans or bottles right now, but it’s openly available at any Burger King with a Coke Freestyle machine. 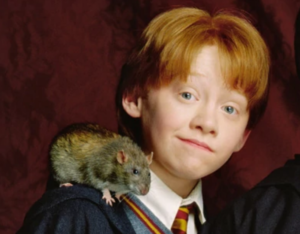 Should they have bothered to bring it back? Let’s find out. It’s back! It’s back! Ring the bells and dance in the streets, it’s back! Oh, frabjous day! Celebrate with us, and be merry! Oh, but what’s back, you ask? Dear sweet friend, it’s the Beefy Crunch Burrito! Yes, yes, the BCB is back for a limited time only! Job Lozenge is a lo-fi employment simulator released on December 8, 2014 by Taylor Bai-Woo.